While experiments began as early as the 1930’s, “FM radio” came into widespread usage after the Second World War. Canada’s first FM radio station went on the air in 1947. Like the term “AM radio”, what we know as “FM radio” is a bit of a misnomer as well. FM is short for “frequency modulation”. “FM” is not only used for radio broadcasting, it’s also used for the audio portion of television broadcasting, two-way radio communications and even for things like baby monitors. Although for two way radio communications “narrow band” FM is used and “wide band” FM is used for broadcasting. 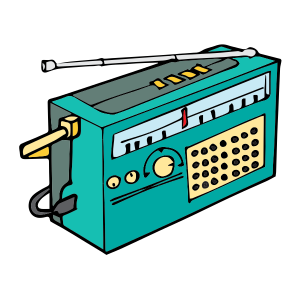 The “FM radio” band in most parts of the world occupies the spectrum between 88 and 108 Megahertz (MHz.) There are some slight differences in some other parts of the world. For instance in Japan the band runs from 76 -90 MHz. In the former USSR and some Eastern European countries it occupied the spectrum between 66 and 74 MHz. These frequencies are all in the “VHF” or “Very High Frequency” part of the radio spectrum. 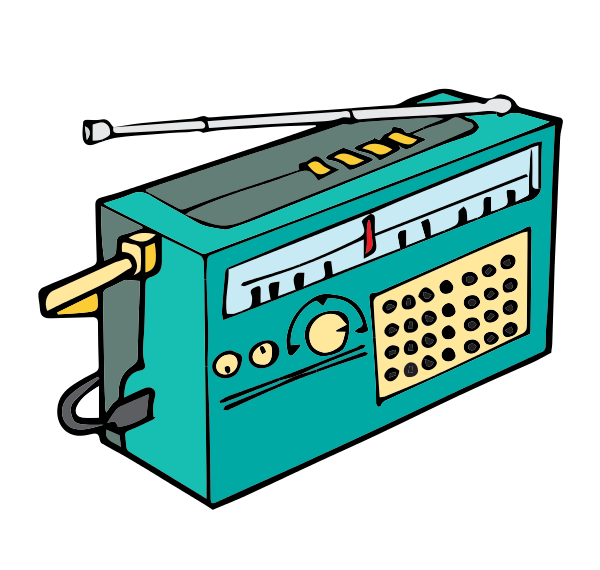 FM radio is much less prone (but not immune) to interference from human made devices and from other stations occupying the same frequency. If two close-by stations occupy the same frequency you will always hear the stronger of the two. Although if you happen to be in an area where signals are marginal you may hear different stations fading up and down. Almost all FM radio stations in Canada (aside from a few low-powered CBC Radio One transmitters) broadcast in stereo audio. Sometimes, if you are listening to a more distant FM radio station you will have better reception on radios where you have the ability to switch the “stereo” effect off. Because the FM radio band is in the VHF spectrum, signals will normally travel up to about 200 KM from the transmitter site. However, if you are at a relatively high elevation in relation to a transmitter tower you may find that signals will travel a little further. If you’re sitting in a car travelling along the highway you’ll find that as you climb a hill a signal will get stronger. But then as you go back down the hill you might find that you end up losing the signal completely. There are some circumstances where FM radio signals will travel much further than normal. One such circumstance is during periods of changing weather patterns where “tropospheric ducts” will form creating a radio “pipeline” between one location and another. This most frequently happens in the summer months in southern Ontario in the evenings and early in the morning. Another phenomenon that can create long distance FM radio propagation is during periods of “sporadic-E skip” where signals literally skip off of the E layer of the ionosphere. Sporadic-E skip is related to solar weather and most frequently happens during the week or two before and after the winter solstice and for a month or two before or after the summer solstice. Periods of E-skip don’t last nearly as long as tropospheric ducting and usually will most affect frequencies at the lower end of the FM radio band. However during “E’s” signals can travel much further than during “tropo” openings. Here in southern Ontario, it’s not uncommon for there to be an “E-skip” opening into central Florida. Not nearly as frequent are “F2” openings where signals can travel for literally thousands of miles. This will happen during periods of high solar activity at the peak of the eleven year sunspot cycle. Again, there are radio hobbyists who take advantage of all of these “freak” types of radio propagation hoping to “bag a new one” for their “collection”. They’re known as “FM DX’ers”. Because both TV and FM radio occupy similar parts of the radio frequency spectrum most FM DX’ers are also TV DX’ers! Here are some links that you might find helpful on “FM DXing”. Even if you aren’t a radio hobbyist these links can help you with improving your “normal” day to day FM radio listening.